You mentioned 1.5x RAM in your post. Would you consider this to be a good 'Rule of Thumb' - or is this only relevant to the computer in question? What's the best way to judge how big your page file should be? Paul, 1.5x is a good rule of thumb. On my system, the computer coincidentally recommended 1.5x RAM. Not sure what other computers would do though! How about this? 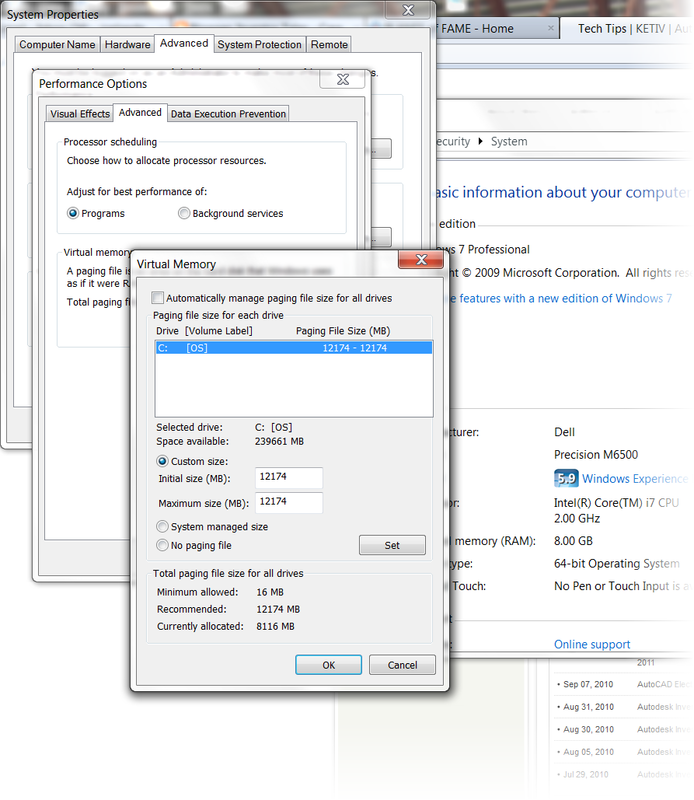 A 6gb machine saddled with WinXP 32 bit, so it can't use all the physical RAM. 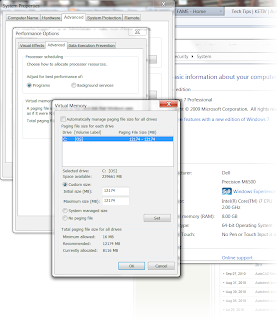 1.5x RAM WinXP can USE or 1.5x Physical Memory? Bummer about not being able to use all your RAM. That would be the best way to go.